The growing season is winding down in Ireland now – for us, autumn officially starts at the beginning of August. My blueberry bushes believe it’s fall – their leaves are starting to turn. The raspberries believe it too; no more fruit to be had this year. The wild blackberries are amazingly prolific and in nearly full-fruit – any ideas on what I can do with them are more than welcome (I don’t have access to canning equipment). They are everywhere in Ireland, it’s crazy. 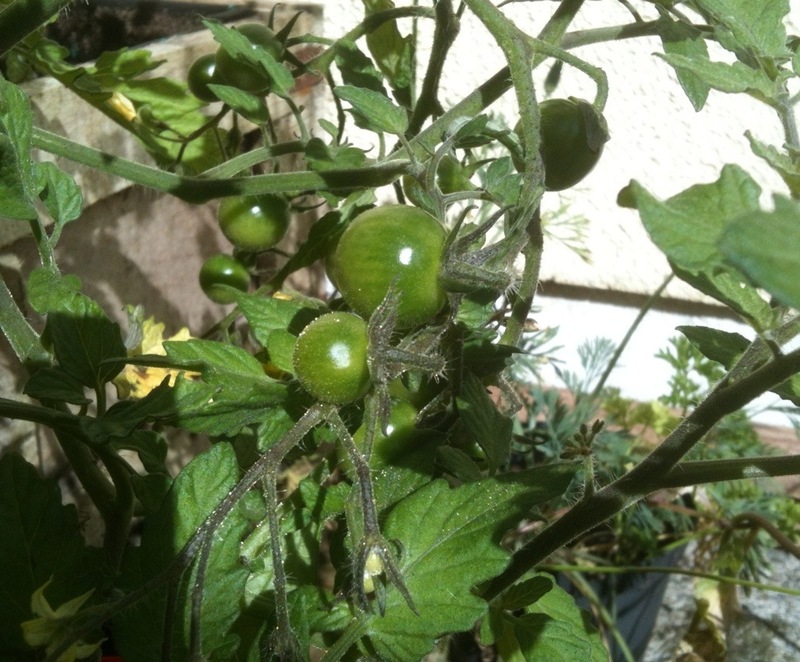 My cherry tomatoes are lush with fruit, but every last one is still bright green. I also found two itty-bitty tomato plants growing out front, where I put down some of my home-made compost earlier in the year. The blighted ‘maters I had last year must have had a few viable seeds. Or maybe they are from the year before? I might dig them up and bring them inside just to see what happens. Mystery ‘maters! Terrible pic (these are all from my iPhone this morning, and the sun doesn’t hit the back wall until late in the day). But! Can you see it? I have an ear of corn forming, finally! 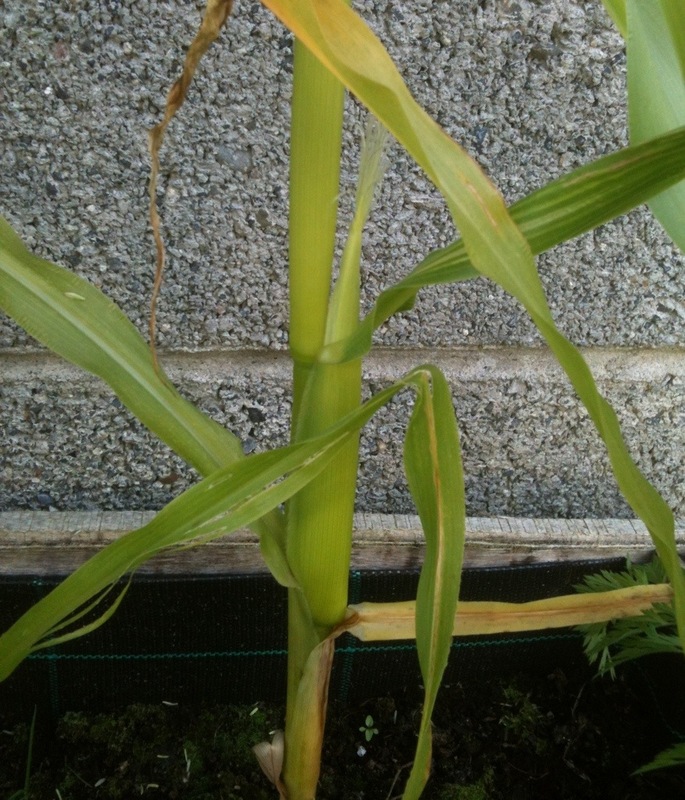 Of my five surviving cornstalks, this one went for gold first. I see one other that might be thinking of getting corny, too. I’m rather assuming that, like the tomatoes, they don’t have a hope in hell of ripening in time. Ah well, I still try. 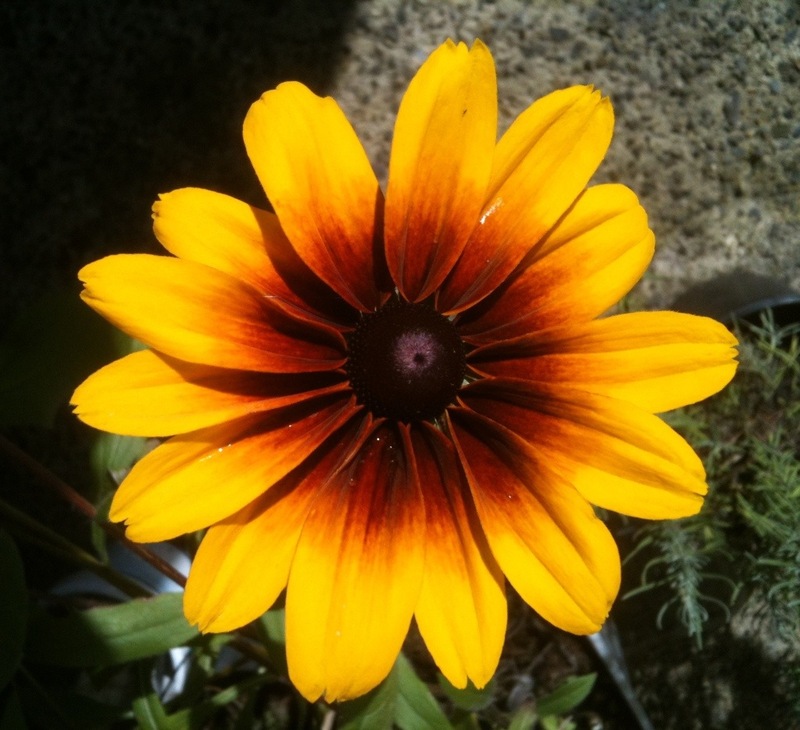 My first gaillardia flower! Lovely colour for autumn, of course. This photo is weeks old. 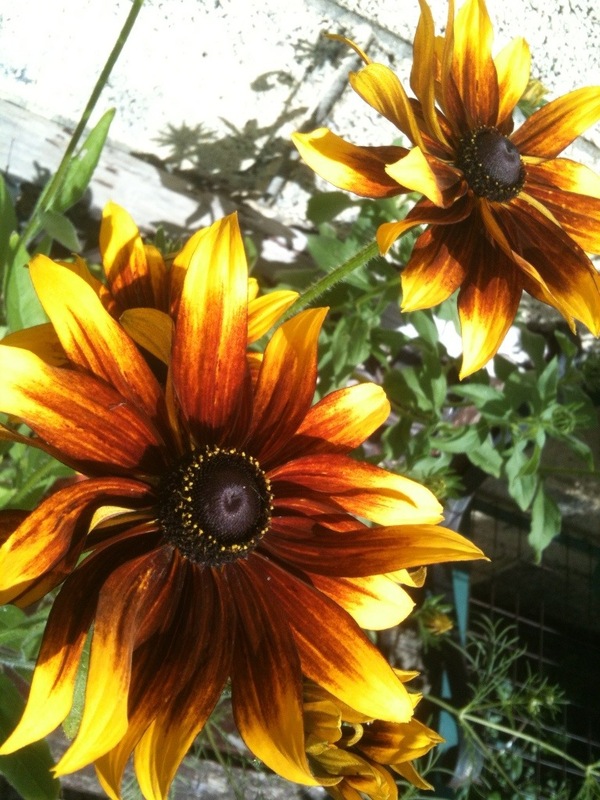 Every single rudbeckia bloom is still in place! Of course there are some new ones. Each Susan has her eye blackened in a slightly different way. What a terrible nickname. 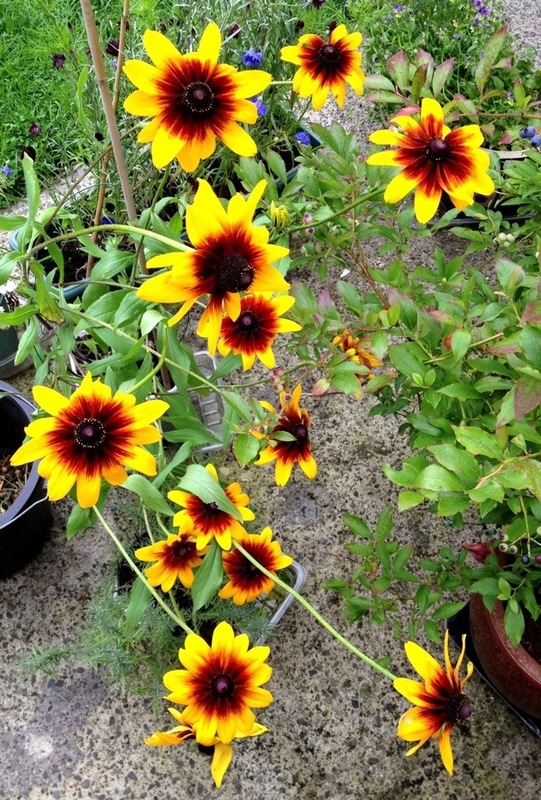 I’ll stick with rudbeckia – the word is much more fun to say, too. Second sunflower! 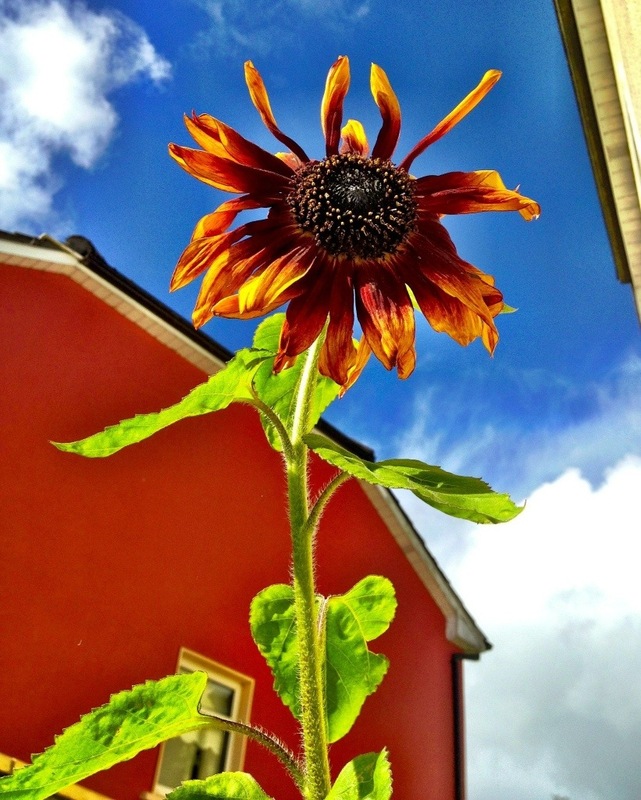 Hubby took this and has had some photoshop fun – our neighbour’s house isn’t quite that bright of an orange-red! I think we can forgive him, since the contrast is pretty damn cool. WOW that last photo is coffee table book wonderful. Here the flowers/plants are beginning to pick up and bloom after sleeping during the terribly hot weather…but a couple of my early warning plants are signaling they are getting into fall/winter/cool weather mode…wonder if winter will be early? Very nice picture – really enjoyed the thought of fall/cooler weather somewhere. Doesn’t fall start Sept 22 for y’all, officially? I’m cold. Not quite back to two blankets at night but seriously considering it. That said: today for about 30 mins it was shorts and tank top weather. 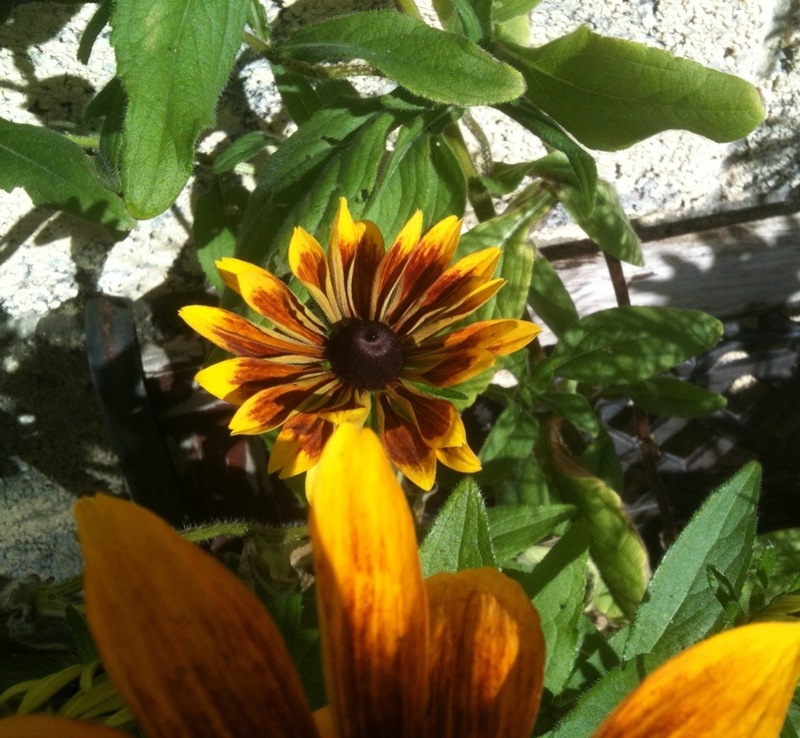 Those Rudbekia last forever — mine are just turning brown as the end of summer’s been unbelievably dry. 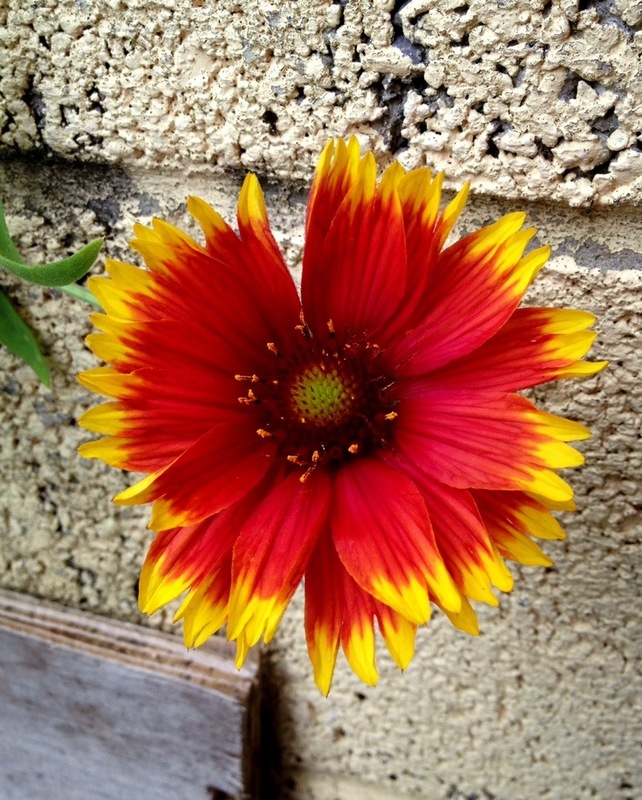 I love “gaillardia.” Never heard of them but both the name and the flower are beautiful. It’s 90 Fahrenheit today and supposed to be 40 by Saturday morning here. Yike. 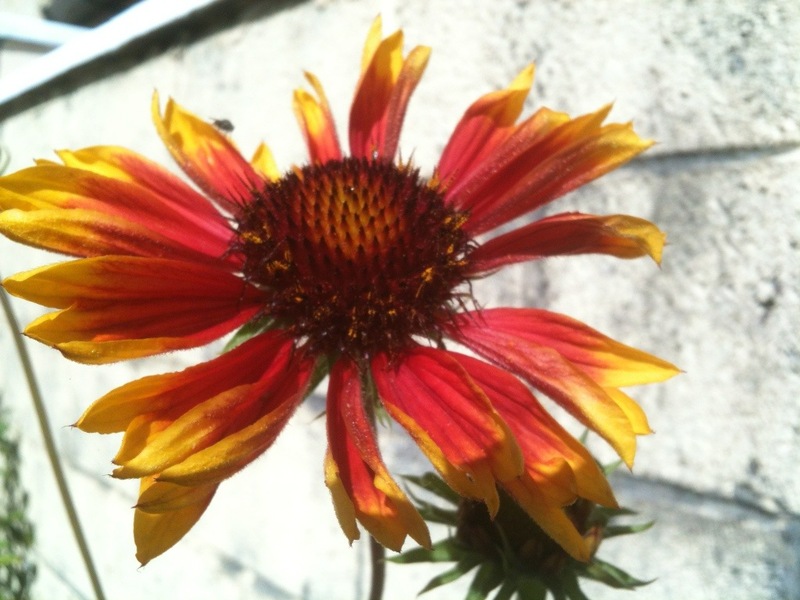 The gaillardia are nearly as big a bloom as the rudbeckia, but don’t last quite as long. They look familiar to me, a childhood memory perhaps of someone else’s garden in my neighbourhood. Your autumn doesn’t look bad at all! I really hope you meant “beginning of September” — or poor you! First week of September been somewhat cooler at about 20C every day. But then, last week began quite cold at 10, but Wednesday we were allowed a nice 31. And the 14-day forecast call for a smooth September. Near or exceeding 20, with a lot of sun. You know, we have quite the climate to grow corn. We seed in late May, and markets are already inundated by the last week-end of July. By mid-August, it’s already over. I’m not saying you should move over here, just saying you would love it if you do (it doesn’t sound like the same, does it?). Nope, August! I know, weird, eh? It’s been pretty warm this year though. Not today so far and clearly not yesterday. I think at this point I may be growing frozen corn. No French! Non:) Besides, one over-the-Atlantic trip was more than enough for me! Yes, it was him, using the fancy-pants camera AND photoshop. Cheater!